Dr. Lamb currently serves as a cyber-security research scientist with Sandia National Laboratories. 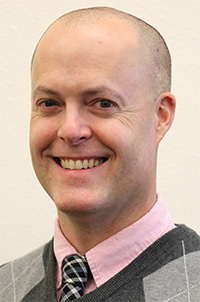 He is also a research assistant professor affiliated with the Electrical and Computer Engineering department at the University of New Mexico. He has extensive experience designing and developing mission-critical distributed systems for a wide range of government departments and agencies. Prior to joining Sandia National Laboratories and working with the University of New Mexico, Dr. Lamb served in executive roles and as a principal consultant for a variety of technology companies in the southwest. Dr. Lamb has a B.S. in Mechanical Engineering from New Mexico State University, an M.S. in Computer Science from the University of New Mexico, as well as a Ph.D. in Computer Engineering with a focus on Computer Intelligence from the University of New Mexico. He is a TOGAF 9 Certified Enterprise Architect and a Certified Information Systems Security Professional (CISSP) through the International Information Systems Security Certification Consortium.